Giant robots and futuristic cyberpunk castles rise out of lush mountain slopes on the outskirts of Guiyang, the capital of Guizhou Province. 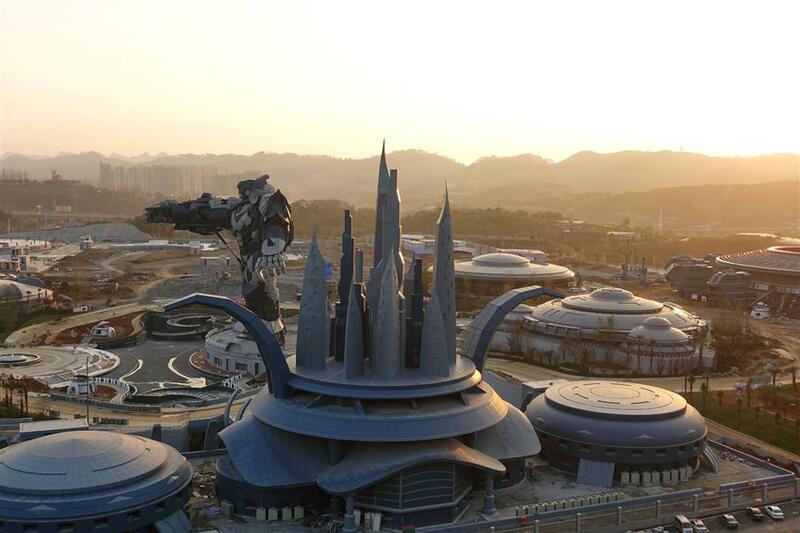 A view of the Oriental Science Fiction Valley theme park at sunset, in Guiyang, Guizhou province, China November 16, 2017. 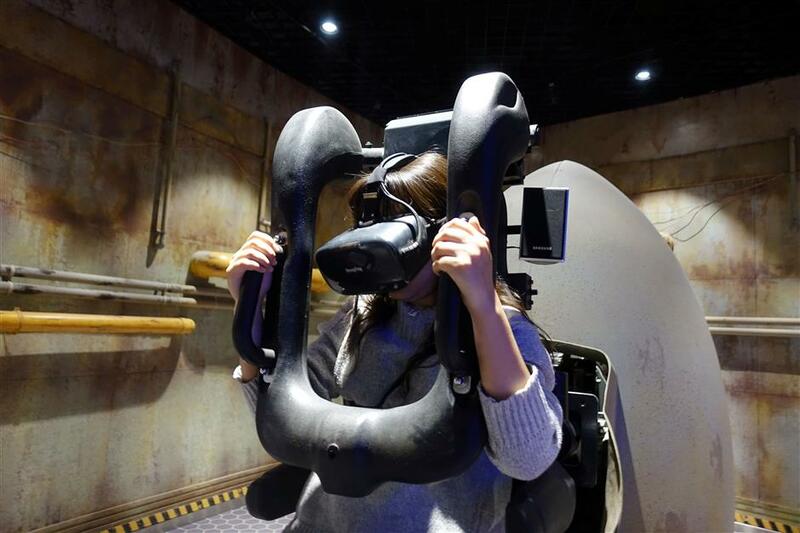 Welcome to China's first virtual reality theme park, which aims to ride a boom in demand for virtual entertainment that is set to propel tenfold growth in the country's virtual reality market, to hit almost $US8.5 billion by 2020. The $US1.5-billion Oriental Science Fiction Valley park, is part of China's thrust to develop new drivers of growth centred on trends such as gaming, sports and cutting-edge technology, to cut reliance on traditional industries. 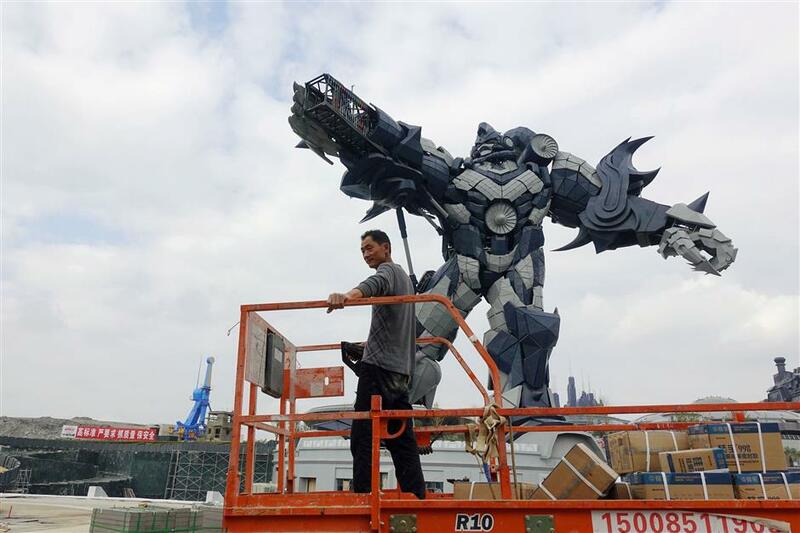 A worker rides on a cart in front of a giant robot statue at the Oriental Science Fiction Valley theme park in Guiyang, Guizhou province, China November 16, 2017. In the push to become a centre of innovative tech, Guizhou is luring firms such as Apple Inc, which has sited its China data centre there, while the world's largest radio telescope is in nearby Pingtang county. China's virtual reality market is expected to grow tenfold to 55.6 billion yuan ($US8.4 billion) by the end of the decade, state-backed think-tank CCID has said. A staff member demonstrates a test-run of the virtual reality (VR) attraction "Explore the Stars", at the Oriental Science Fiction Valley theme park in Guiyang, Guizhou province, China November 16, 2017.